In many texturing applications it is necessary to be able to "tile" the texture over a larger region than the texture segment covers. In the ideal case the texture segment automatically tiles, that is, if it laid out in a grid it forms a seamless appearance. For example consider the following texture. If it is laid side by side it forms a continuous seamless surface. Other regular tiles fit together in more subtle ways. This larger segment can now be repeated in the normal way indefinitely as all the edges will now join without discontinuities. Sometimes a mixture of mirroring and direct tiling can be applied, that is, mirror tile in one direction and do a straightforward tile in the other direction. In what follows one method will be discussed for making any image tile with reduced seams. In the following the image on the left will be used as an example, it clearly doesn't tile. The discontinuities between the tiles can be illustrated by swapping the diagonal halves of the image as shown on the right. Sometimes it is possible to edit the image on the right, smoothing out the center vertical and horizontal seams, the result would then tile. In general this is difficult and has the disadvantage of being a manual process. Original 1. Original image to be tiled. Original 2. 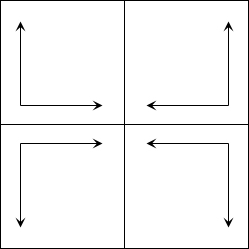 The original image with the opposite quadrants swapped. This clearly shows the discontinuities that would result from the tiling. In what follows, let the original image be represented as O, for simplicity consider the image to be square with N pixels vertically and horizontally. Each pixel is indexed (C conventions) as O[i][j] where i and j range from 0 to N-1. Two masks are created, there are many alternatives but the example shown below is a radial linear ramp from black to white. Other masks can be used, the requirement is that the mask tends smoothly to pure white at the image boundary. The second mask on the right is diagonal swapped version of the mask on the left. Where i and j range from 0 to N/2-1. Md is calculated as for Od above. The following two images are created by multiplying the two original images by their respective masks. I've chosen a slightly different convention here to normal, here for purposes of the multiplication black has a value of 1 and white 0. These two images tile (although rather boringly) because the left image decays to zero at it's edges. Multiplication of the original image (Original 1) with mask 1. Multiplication of the diagonal swapped image (Original 2) with mask 2. And finally, the tilable image on the left is created by averaging the two images above. On the right is a reduced 2x2 tiling of the tile on the left showing the absence of any discontinuities. The average of the two tiles above. A 2x2 tiling of the tile on the left. Note that to avoid zero divide by the denominators above it is customary constrain the mask values to positive (non zero) values. Applying this technique to the diagonal grey scale tile above can give some further insight into how the method works. This is the resulting tilable grey scale image. Often a linear mask is used as illustrated above in order to minimise the introduction of circular structure into the tile. This shows the linear tile applied to the previous grey scale diagonal ramp. For perhaps a more realistic texture, consider the following photograph of some grass. This very crude/simple C source is what I initially used to experiment with these techniques, you may find it useful. PhotoShop has a filter called "offset" that makes the diagonal flipped images. You can then create the masks with the ramp tool and form the tile with the appropriate operations on layers comprising of original image, mask and their respective diagonal images. Use the "screen" to apply the masks to each image. To combine the two resulting images, invert one of them and then take the "difference". GIMP has a tiling function that seems to work on the same principle as outlined here using a linear mask. A Shake implementation has been put together by Emmanuel Mogenet, a screen shot is here (shot.jpg) and the source is here (SoftTile.h). So, given a point (x,y,z) on the surface of the sphere the above gives the point (u,v) each component of which can be appropriately scaled to index into a texture image. 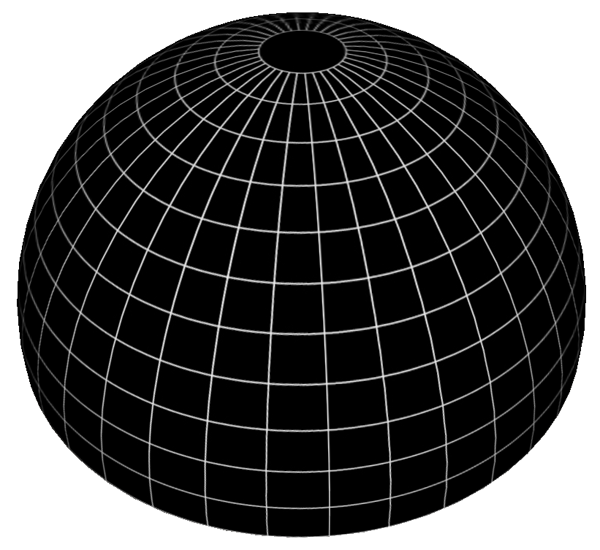 A sphere cannot be "unwrapped" without distortion, for example, the length between points on the sphere will not equal the distance between points on the unwrapped plane. There are still two special points, the exact north and south poles of the sphere, each of these two points needs to be "spread" out along the whole edge v=0 and v=1. In the formula above this is where sin(v pi) = 0. While straightforward many people seem to have trouble creating a sphere with texture coordinates. Here's the way I do it (written for clarity rather than efficiency). The whole line at the North pole and the South pole texture map onto a single point at the poles. While this linear mapping of lines of latitude is fine for general textures, it may not be correct for particular image textures such as maps of the Earth. 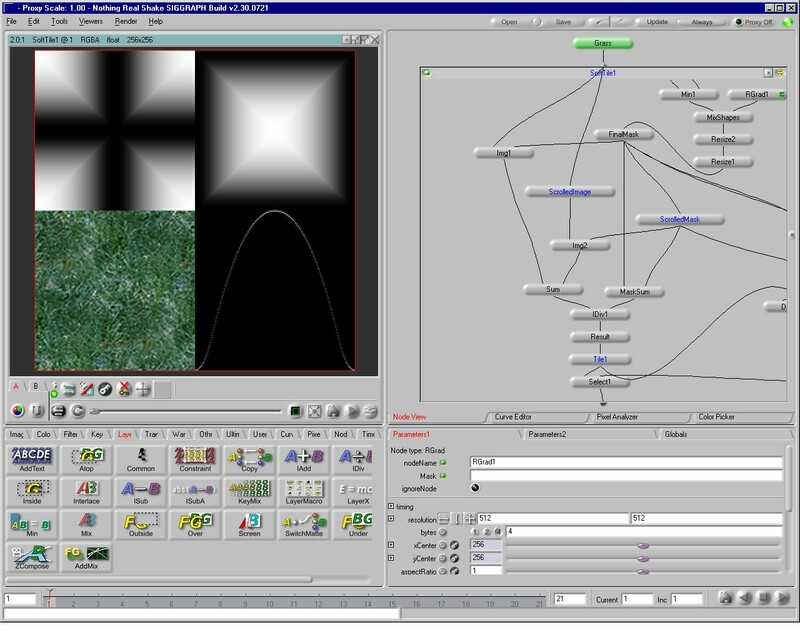 In those cases the latitude texture coordinates need to be matched to the latitude function used to make the image. It is a small modification to enable one to create subsets of a sphere....3 dimensional wedges. As an example see the following code. Lua/gluas script contributed by Philip Staiger. Python script for use with GIMP by Rafael Navega. When texture mapping a sphere with a rectangular texture image with polar texture coordinates, the parts of the image near the poles get distorted. 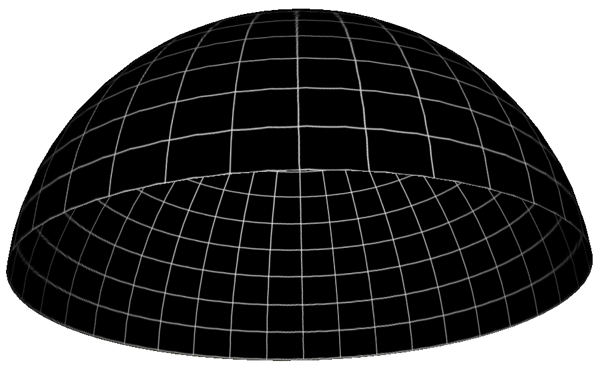 Given the different topology between a sphere and plane, there will always be some nonlinear distortion or cut involved. This normally manifests itself in pinching at the poles where rows of pixels are being compressed tighter and tighter together the closer one gets to the pole. At the poles is the extreme case where the whole top and bottom row of pixels in the texture map is compressed down to one point. The spherical images below on the left are examples of this pinching using the rectangular texture also on the left. It is simple to correct for this by distorting the texture map. Assume the texture map is mapped vertically onto lines of latitude (theta) and mapped horizontally onto lines of longitude (phi). There is no need to modify theta but phi is scaled as we approach the two poles by cos(theta). The diagram below illustrates the conventions used here. The pseudo-code for this distortion might be something like the following, note that the details of how to create and read the images are left up to your personal preferences. Applying this transformation to a regular grid is show below. Perhaps a more illustrative example is given below for a "moon" texture. Note that in general if the texture tiles vertically and horizontally then after this distortion it will no longer tile horizontally. A number of tiling methods can be used to correct for this. One is to replicate and mirror the texture horizontally, since the distortion is symmetric about the horizontal center line of the image, the result will tile horizontally. Another method is to overlap two copies of the texture after the distortion with appropriate masks that fade the appropriate texture out at the non-tiling borders. This final example illustrates how after the distortion the image detail is evenly spread over the spherical object instead of acting like lines of longitude that get closer near the poles. 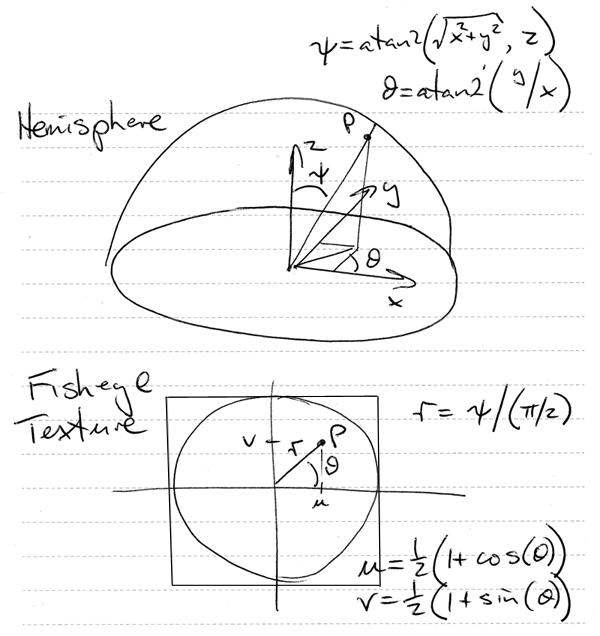 The following illustrates how to calculate the texture coordinates for the vertices of a hemisphere such that a fisheye image can be applied as a texture with the "expected" results. To test the mathematics and code presented here the following texture image will be used, the expected result is for the hemisphere to be textured with lines of longitude and latitude. The texture coordinate for any vertex of the hemisphere mesh is calculated by determining the polar angles theta and phi. These can then be mapped directly into the fisheye texture plane. The equations are shown below and also in the source code provided. Source code that illustrates this is give here (tab stops set to 3 for correct indenting): fishtexture.c. It creates a textured hemisphere centered at the origin with unit radius described as an obj file: fishtexture.obj with associated material file: fishtexture.mtl. Resulting views of the above obj file. The following lists some of the most common texture mapping methods use by raytracing/rendering engines. 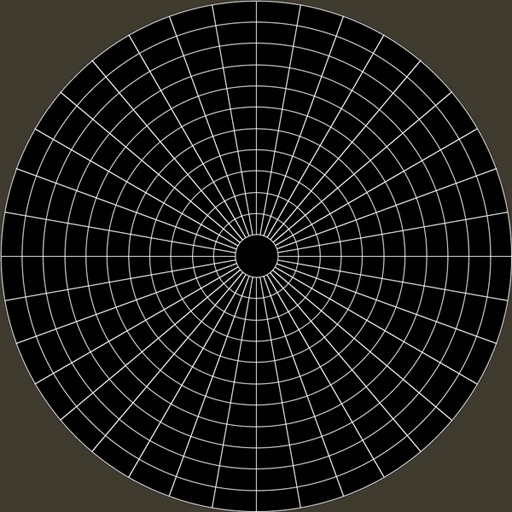 The methods are illustrated by mapping the simple rectangular tile texture on the right onto a cube, sphere, and cylinder. Repeated tiling is used in all cases and where possible the tiling scale factors are kept constant. The Australasian Society for Psychophysiology, Inc.
VRML version of the cover for Neuroimage 8. For a paper entitled "Steady State Visually Evoked Potential Correlates of Auditory Hallucinations in Schizophrenia".